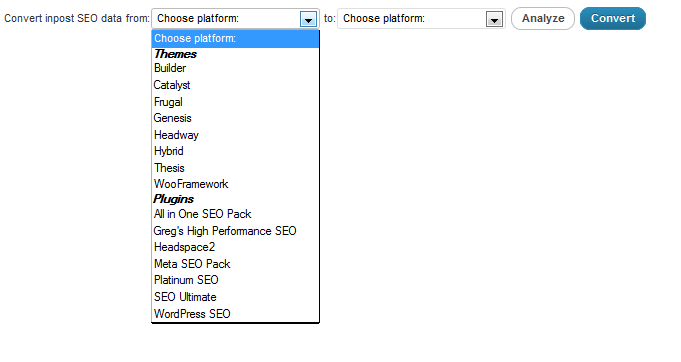 May 14th in Free Plug-ins, Plugins For SEO by Wordpress Jedi . WordPress is a great platform to build a website with, but it’s not exactly optimized for search engines right out of the box. There are certainly things you can do to improve your chances of getting ranked high on the search engines. Let’s face it. Writing good quality posts and using your keywords in your posts are only a small part of the process. You are going to have to work on other on-page and off-page tactics to make your WordPress website as search-engine friendly as possible. Your internal link structure is one of the factors that could play a role on how well your pages are ranked by Google and how often your site gets crawled. Linking to your pages with the right keywords can help Google and other engines get a better understanding of what your site is about and how they should go about ranking all your pages. That’s where Smart SEO Links comes into play. It’s a powerful SEO plugin for WordPress that automatically generate links to your internal pages (in your posts, comments, and …) and helps you maximize your traffic and get your visitors to stay on your website longer. 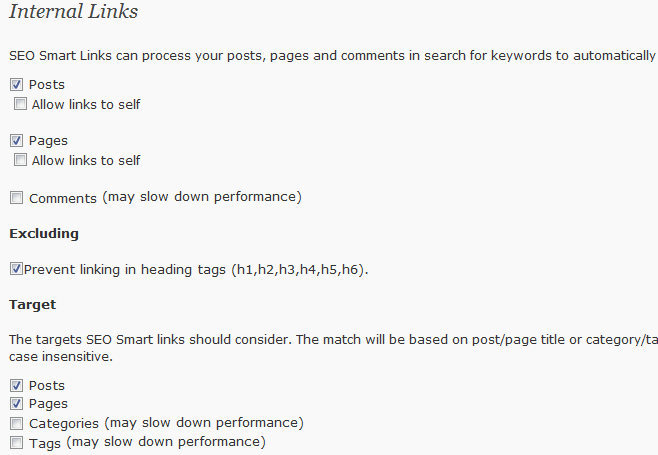 SEO Smart Links is pretty easy to use. All you have to do is install it on your blog and let it know how you want it to treat your posts, pages, and comments. 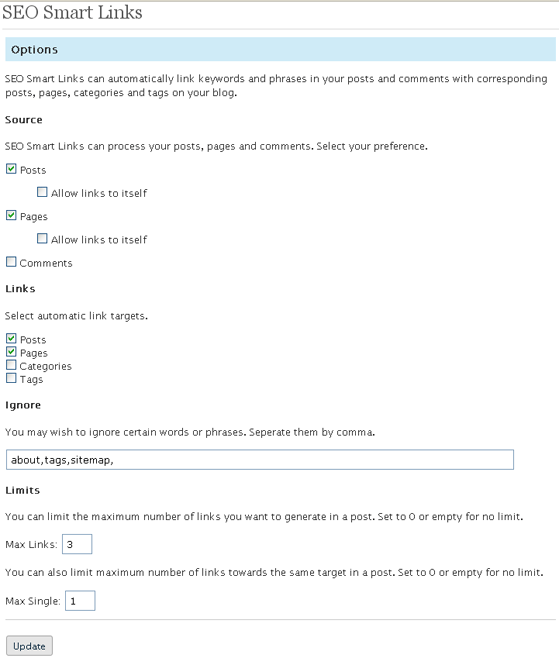 You can use the plugin to automatically generate links to your other posts and pages on your blog. It is also possible to have it link to “self” from each post on your blog. What I like about the plugin is its flexibility and options. 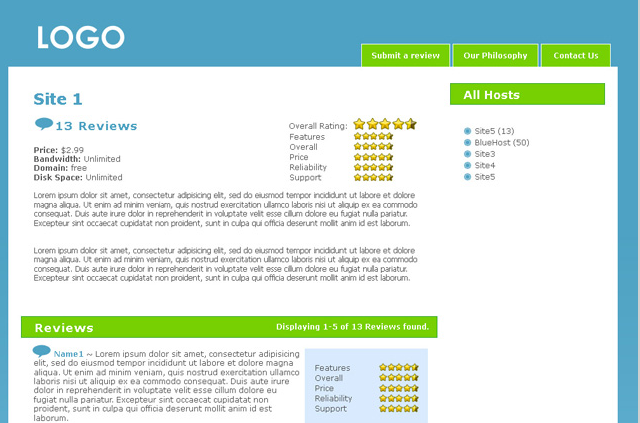 For instance, we all know that links in headers could be ugly or look out of place. This plugin gives you the option to avoid that possibility. 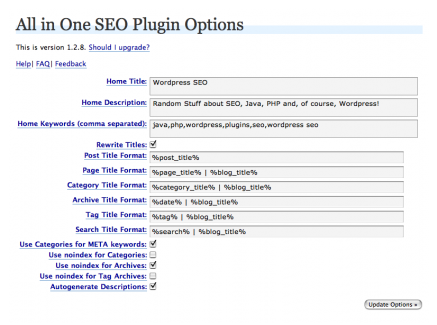 November 8th in Free Plug-ins, Plugins For SEO by Wordpress Jedi . I happen to own a website that has over 10,000 pages and posts combined. That’s not much in comparison to some of the bigger portals out there. But at the same time, the sheer size of the site makes it too difficult to make the smallest changes to the structure of the site. When I purchased the website from the previous owner, I had every intention of changing the internal structure of the site to maximize the link juice flow and improve my site’s PR. One big problem with the site was the permalink structure that was used on the site. The URLs were just too long and not search engine friendly. If you change your permalinks structure without doing the ground work beforehand, you leave yourself open to search engine penalties and loss in traffic. Don’t forget that people who have bookmarked your pages won’t be able to find your pages once you make the switch. So how do you approach such a problem?